TORONTO, April 11, 2018 – White-collar crime isn’t what it used to be. Patterns are evolving, techniques are becoming increasingly sophisticated, and perpetrators are well-equipped with the digital tools and financial backing that make execution easier and evasion possible. These new modes of crime require new modes of prevention and detection, and specially trained professionals who know what to look for. Helping to train this new class of specialist is the University of Toronto Mississauga’s new Master of Forensic Accounting program. The program launched in the fall of 2017, replacing the school’s previous diploma in investigative and forensic accounting. 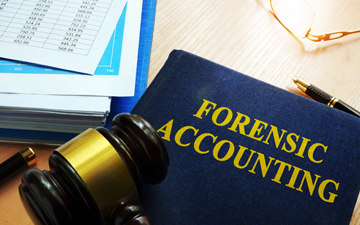 It’s one of the only such programs in the world to offer a standalone graduate degree in forensic accounting. The program consists of 10 courses, delivered part-time over a two-year period. With the exception of an on-campus residency session at the end of the period, the program is delivered entirely online; there are students in New Zealand, Hong Kong, and parts of Europe. Readings and assignments are complemented by a weekly real-time, web-based lecture component. In addition to a bachelor’s degree, prospective students are required to have at least two years of relevant experience in law, business, or accounting. Following successful completion of the program, their job prospects, says Brooks, are diverse. Nancy Gossling, a 48-year-old mother of four from Toronto, applied to the program to prepare for a return to the workforce. Accredited as a Chartered Professional Accountant and Chartered Accountant, Gossling had worked in forensic accounting in New York prior to taking a break from full-time employment. “(The) program has given me the confidence and credibility to pursue my goal of being back in the workforce,” Gossling adds. Learn more about the new UTM Master of Forensic Accounting program. This article originally appeared in the Toronto Star and is reprinted with the permission of the author. Jaclyn Tersigni is a Toronto-based journalist, editor, fact-checker and copywriter.